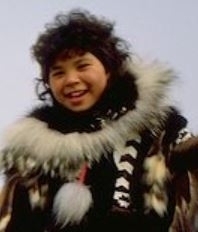 The Northwest Alaska Inupiat Eskimo people, also known as the Seward Peninsula Inupiat) are an Alaskan Native American people who reside in Northwest Alaska. The Inupiat people are a cluster of Inupiat people organized into two dialect people: the North Alaska Inpuiat Eskimo people and the Northwest Alaska Inupiat Eskimo people. Bering Strait: spoken on King Island and the Diomede Islands and in the villages north of Nome, subdivided into: Diomede (tribe: Ingalikmiut), Wales (tribes: Kinikmiut, Tapqagmiut), King Island (tribe: Ukiuvanmiut). Due the to the long Russian influence, the Northwest Alaska Inupiat Eskimo are Russian Orthodox. Pray that God will send people to minister to both their physical and spiritual needs in the isolated locations that they reside. Pray God will work in their hearts and minds to know and understand the truth in Jesus Christ.